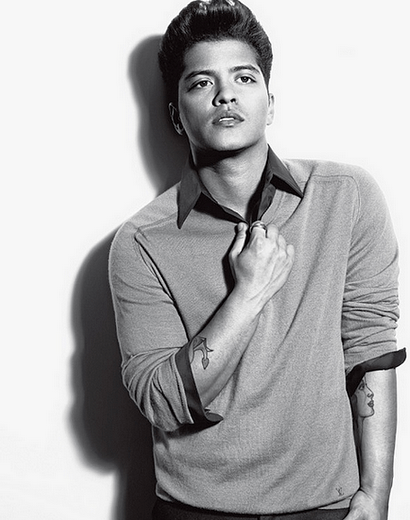 According to Media sources USA Today, Bruno Mars has been selected to perform at Halftime show at Super Bowl XLVIII. For those who are unfamiliar with Bruno Mars, here’s a little information on him. He’s a pop force who’s sold literally MILLIONS of records. According to the Recording Industry Association of America, his Grammy-nominated 2010 debut album Doo-Wops & Hooligans went double platinum (platinum = 1 million units) and its singles Just the Way You Are and Grenade which each went five-times platinum. 2012’s Unorthodox Jukebox album is platinum-certified. He’s sold more than100 million singles worldwide as a solo artist and writer/producer/featured performer. He’s not just a solo star. Know those big hits Nothin’ On You by rapper B.o.B and F— You by CeeLo Green? Bruno Mars wrote and produced those with his Grammy-nominated production team, The Smeezingtons. Mars also sang the hook on Nothin’ and has been featured on hit songs like Eminem’s Lighters and Travie McCoy’s Billionaire, both of which he co-wrote. The former Elvis and Michael Jackson impersonator can put on a show. Mars, born Peter Gene Hernandez in Honolulu, began performing around age 5 in a family revue and has become a go-to live performer. He’s played VMAs, Billboard Music Awards, Saturday Night Live (as host and musical guest) and the Grammys, twice, after Grammy producer Ken Ehrlich convinced him to play a Bob Marley tribute earlier this year. “I’ll readily confess I have my favorite (performers) and they’re people who understand the dynamics of live performance and deliver. … Bruno picked the house off the floor with his James Brown impersonation (last year),” Ehrlich told USA TODAY. Mars is currently headlining his second worldwide tour, the Moonshine Jungle tour. Fans compare Mars’ flashy, vocally demanding performance style to Michael Jackson and Prince. EAST RUTHERFORD, N.J. – January 7, 2012 – MetLife Stadium, home of the New York Jets and New York Football Giants, recently topped the annual venue ratings released by three prominent industry sources, Billboard, Venues Today and Pollstar magazines. Pollstar magazine, which specializes in the worldwide concert industry, ranked MetLife Stadium as the No. 1 grossing stadium in the United States and the No. 3 grossing stadium in the world. 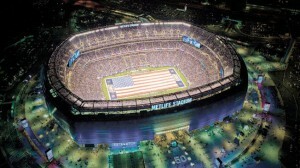 MetLife Stadium also played host to the top grossing concert of 2012, Bruce Springsteen & The E Street Band. Are you ready for Superbowl XLVIII? Cars are being booked now for this upcoming event. Make sure we have your ground transportation covered. Please complete the form below and one of our Sales Directors will assist you with your reservation. If you prefer to call, please contact us at 212-647-8400.